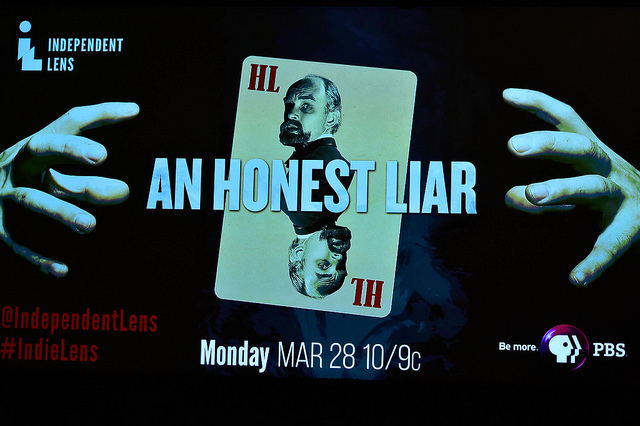 That’s the message delivered by James “The Amazing” Randi in The Independent Lens production “An Honest Liar.” The entertaining and surprising doc airs March 28 on PBS. 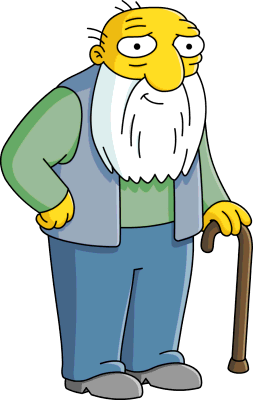 At 87, Randi looks more like Jasper Beardly on The Simpsons than Harry Houdini. His name, however, should ring a bell with boomers who grew up in Toronto. Born in T.O., he became fascinated with magic before he’d reached his teens after seeing several shows by the great Blackstone at the long gone Casino Theatre on Queen Street. The doc shows how Randi became a magician at 17 and performed many of the same daring tricks Houdini perfected, including stunts such as dangling over Niagara Falls in a straight jacket. 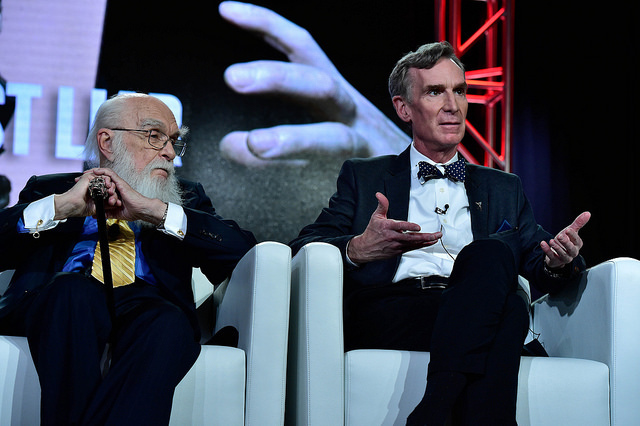 “It was so cold my hood froze to my beard,” Randi told me Monday after the PBS TCA session. There are many clips of Randi from early Canadian TV apppearances, including one showing him on the afternoon kids show Razzle Dazzle with Alan Hamel and Michelle Finney. I asked Randi if he could remember what other Canadian shows he did but the man drew a blank. “I knew Wayne and Shuster,” he offered. Randi went on to much greater fame in the U.S., appearing on Merv Griffin, with Barbara Walters and especially on The Tonight Show with Johnny Carson. Carson dabbled in card tricks and Randi says the two would spend time after the show in the host’s white Corvette, talking magic. “He was really good but would never do magic on his show, preferring to leave that to the magicians,” says Randi, who believes he made 31 appearances with Carson. The doc shows Randi on a TV appearance squeezing into a metal bell-shaped container filled with water–and nearly drowning when something went wrong. He cut back on the death-defying stunts and eventually carved out a whole new career, debunking frauds such as Uri Geller and TV evangelist Peter Popoff. Appearing on the special are Penn and Teller, “two of the finest gentlemen I know.” Randi says he’s the one who suggested the two team up together. Randi was also selected by Alice Cooper to help him goose his rock shows in the ’70s with some magician razzle dazzle, including a guillotine act where Alice got beheaded. Word is Randi became a fixture on Alice’s tour bus. On stage with Randi was Bill Nye the Science Guy, who said he was “speaking for the skeptical community.” He was happy to help Randi expose psychics and faith healers. After the session, Nye showed me photos on his iPhone of a recent helicopter trip he took in Alberta. 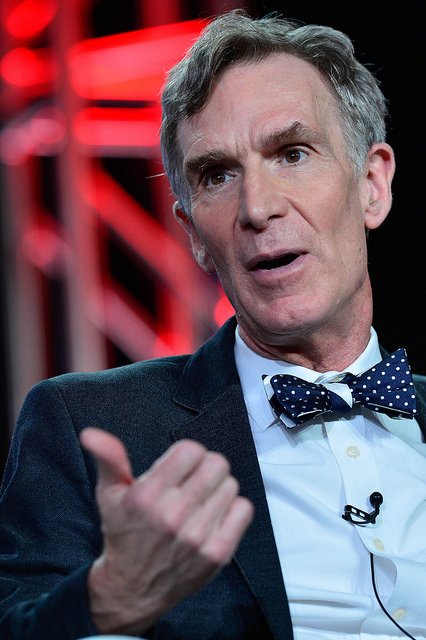 Nye was there with folks from National Geographic and said he was horrified by the “Tar Sands” project around Fort Mac Murray. He dismisses the term “Oil Sands” and showed how close the rivers and lakes were to the enormous patch of black earth seen from overhead. While a fire alarm blared in the ballroom, Randi had two veteran TCA members tie him up at the start of the session. He escaped within seconds. If Bobbin and Hughes ever replace Penn and Teller, well, I was there when it happened. By the way, Randi can still pull off some amazing tricks. 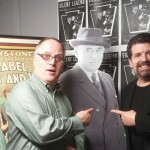 The Independent Lens special has a twist you will not see coming. Watch–and be amazed.